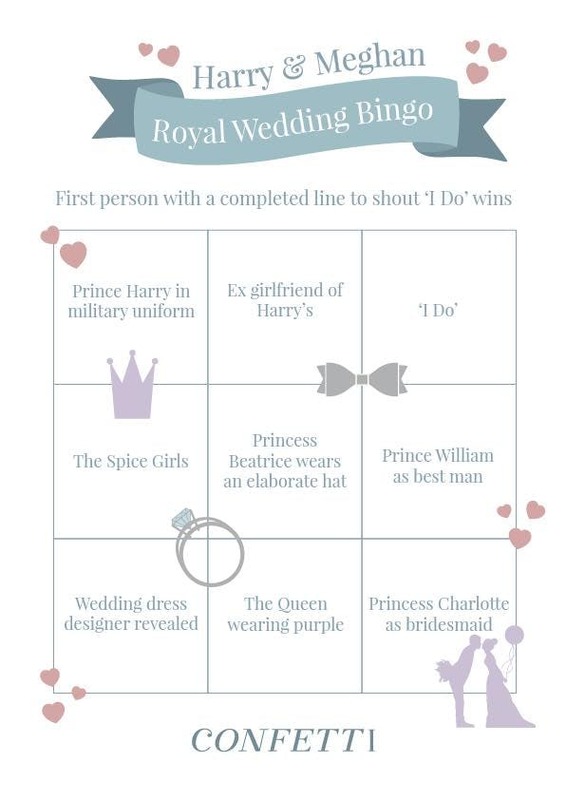 You might have guessed – we’re pretty royal wedding excited here at Confetti! 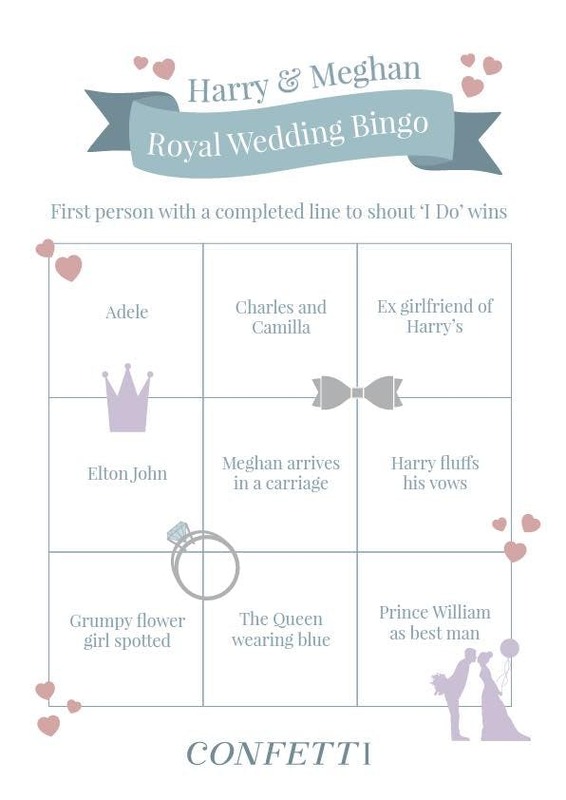 We’re definitely going to be watching the royal wedding tomorrow, and if you are too, we’ve made a free printable royal wedding bingo for you to play as you view! But if you want to play the traditional way you simply need a pen and the print-outs, and get ready to cross off what you see. The first to complete a line and shout ‘I do’ wins – although we’re afraid you’ll have to source your own prizes. Inspired by this? 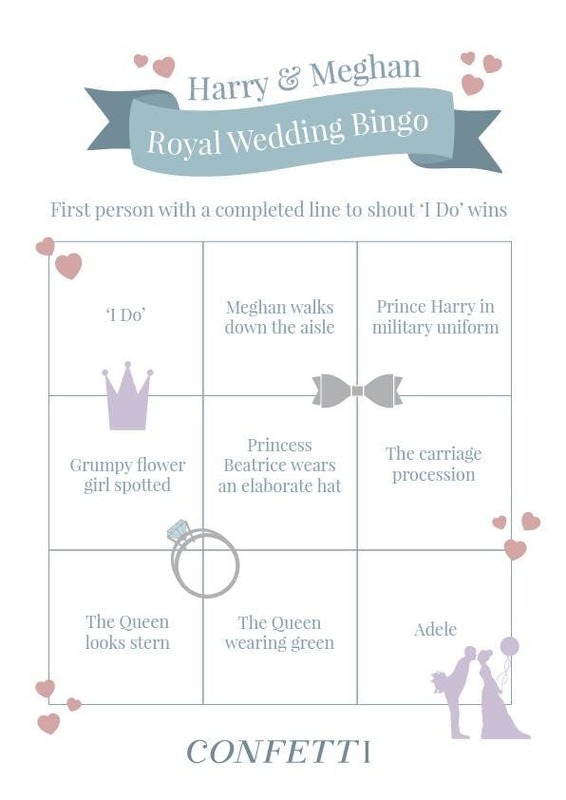 Check out even more ways to celebrate the royal wedding.